I am working on a paper using co-creation, which required me to survey the related literature. 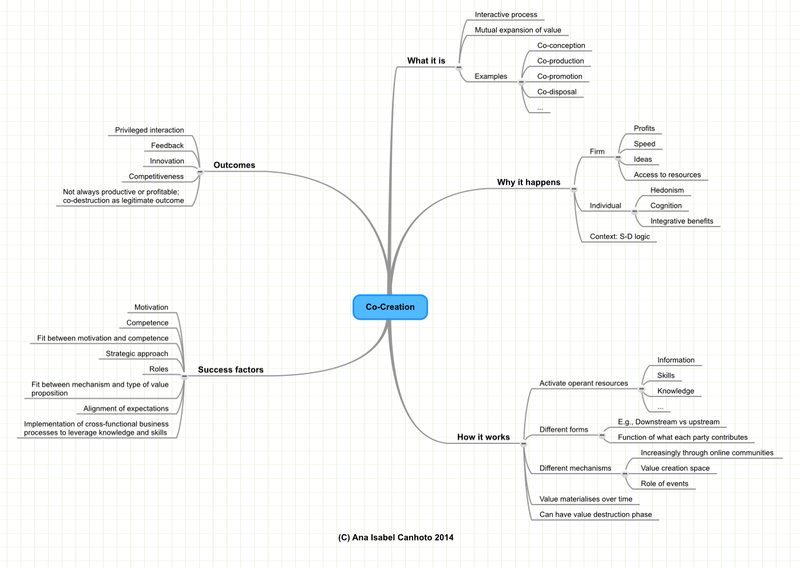 To help me capture the key themes discussed in the various papers that I read, I created a mind map. This is still work in progress but, as this is such a relevant topic in marketing (and management, in general), I thought that I would share this simplified version with you. I hope it is useful. Do let me know if you use it, and how. Posted on May 26, 2014 May 26, 2014 by anacanhotoPosted in Marketing in everyday lifeTagged Co-creation, Literature review, Mind map.